It may be little consolation for the players in the title game, but it does speak volumes about the team's character. Wilsonville's football team was recognized by the Oregon State Activities Association (OSAA) Wednesday, Nov. 28, and awarded the OSAA Sportsmanship Award for Football. According to an email from OSAA associate director Kelly Foster, the award is part of a "recognition program that gives officials the opportunity to highlight the positive sportsmanship that they see on the field." 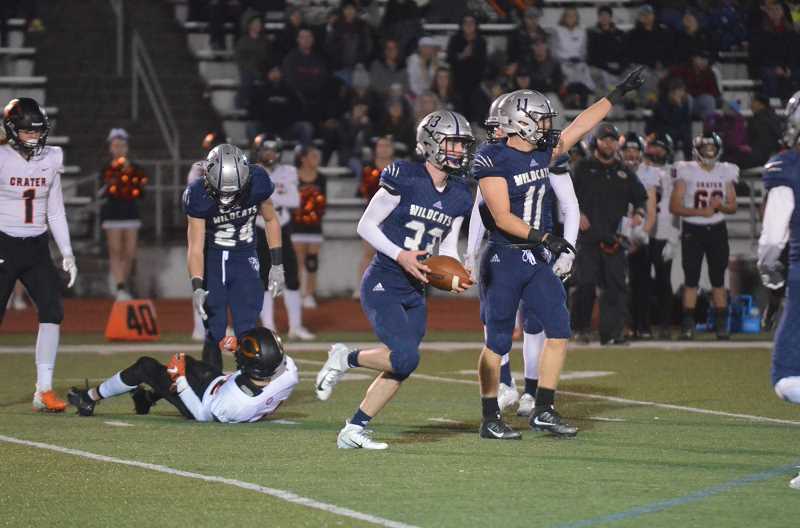 Wilsonville's football team put together an utterly dominant 12-0 streak to the state final, claiming a league title in the process. The Wildcats came up short against Thurston in a 30-27 classic, however, dropping their state title game record to 1-3 in program history.